This crime drama is a tense 2 hrs 20 min watch. Three stories rolled into one provide changes of perspective and pace which culminate in a satisfying experience. It is not a masterpiece by any means but The Place Beyond the Pines is definitely worthwhile – at times adrenalin-pumping – entertainment. Ryan Gosling – as always – glues you to the screen, although I would have liked a character portrayal a bit further removed from his lead in Drive (2011). Eva Mendes is great. It is good to see her in a serious role, showing her acting talents. Her appearance portraying a minimum-wage working mum in this film is so far removed from the glam and beauty she displays in her small part in Holy Motors (2012). She really is an astoundingly beautiful woman. Bradley Cooper is the only player in the film which I found a little unconvincing. He seems to me a perfect choice for vehicles such as Limitless (2011), but even in Silver Linings Playbook (2012) his performance seemed wanting. I do not see much depth from what I have experienced so far from this actor. Matthew McConaughey springs to mind, an actor who can play fun roles as well as rough ones, like in Killer Joe (2011). He would have been a better choice for this film, in my opinion. Anyway, don’t let my small quibbles put you off. The Place Beyond the Pines has a fully-absorbing storyline which veers off in interesting directions before returning full-circle. And your heart will beat a little faster than normal throughout. Amazing movie. Although it was the first time I wasn’t highly attracted to Gosling…the clothes…lol…but it was perfect it fit the character and it was wonderful…. Your blog is very interesting. 🙂 McConaughey would have been a bit old for the part I think. But he was awesome in Mud! I was heartbroken on taking my leave of Luke. The rest of the film is consistently fascinating, but none of the other characters come remotely close in terms of reaching right into this viewer’s heart. Thanks for the great reviews! Great movie taste, as well! I def want to watch this one! This was a great film. I thoroughly enjoyed it. Really talented director. I actually liked it better than Blue Valentine (in leaps and bounds). Its on my to watch Movie list. Nice Review and thanks for visiting and following. Surprisingly good flick! Agreed about Cooper. His attempt at crying towards the end really pulled me out of the movie at a pivotal point. Looking forward to seeing this movie soon. Hi, first thanks for following my blog! I really enjoyed this movie, the three story structure was very engaging. I do disagree about Bradley Cooper’s acting, at least in Silver Linings Playbook. Portraying a bipolar patient takes some chops I’d assume but of course that’s just me :P.
Great review, I’ll be reading more of them soon :). Ah, finally someone agrees with me about Bradley Cooper. I get very annoyed with him as an actor, because I feel like he’s got potential, but he never improves. I thought in both The Place Beyond The Pines and The Silver Lining’s Playbook he was average at best, as there were tons of amateurish mistakes in his performances. Though I did love the confrontation scene between him and Handsome Luke’s son – I thought for once the acting was actually pretty intense. This was a great film! Really sad… but great! Hello! First of all, thank you for following my blog (I saw you followed my brother, David, as well ^^) and I have to say that your blog is beautiful! The format is just terrific, and the reviews are so well-written, but have a brevity that requires thoughtful analysis! I know I’ll be reading more of yours as they go up, especially since your tastes can open me up to movies I have never heard of. Blue Valentine was pure genius but derek could have cut an easy 30 minutes out of this film. I applaud his passion and ability but think that this film should be a lesson to him to learn how to let things go, It was never going to be an epic masterpiece. Shimky thank you for following my blog! I will follow yours too. Naomi, that is a well-written, strongly-expressed opinion on TPBTP. See, I can’t even be bothered to write the title out fully; I’d make an excellent value version screenwriter! I don’t disagree with any of your points on the film. But I do disagree with your opinion that Cooper is a better actor than Gosling or that Mendes can’t act. Your review is obviously a very personal one. You are looking for certain things from this movie and they are not provided to you. I enjoyed the film for what it is: an action thriller with a bit of inconsequential drama thrown in. I think your viewpoint is as valid as mine because you are critiquing the film on what the director/writer promised. I am sure they thought they’d made a deep and meaningful masterpiece. It is, of course, nothing of the sort. But rather that completely tear the film apart, I look for the parts I can enjoy and walk away with; the rest I try to shrug my shoulders at. I think that is a much more positive approach than being left feeling that watching it was a complete waste of my time. And it wasn’t: there were elements I thoroughly enjoyed. I wonder whether the whole premise of your site, please don’t be rubbish, is a rather negative one. Rather than looking for the good in films, you seem to have set some very high standards against which you critique films. Your standards are, of course, valid. But, as we both know, there are many more bad films than good films, so this approach sets you up for a lot of disappointment. How would it be, if your philosophy was please be good rather than please don’t be rubbish? Perhaps you would get more enjoyment out material that didn’t live up to your expectations because you would be concentrating on the good rather than the bad? That seems to me a much healthier philosophy for all things in life. For a really really bad film, watch American Hustle! It leaves me with the same sentiments you have for The Place Beyond The Pines: how could anyone like this rubbish! Thanks for being gracious and taking the time to read my post and reply, I really appreciate it. Especially after my rather hit-and-run comment! I do totally agree with what you’re saying; we need to affirm the good that we see around us, and to be actively looking for it. At the same time though, how can we know what “good” is unless we have some sort of standard to measure it by? I do have very high standards – based on well-written, well-directed films and books – and then these become the yardstick by which to measure everything else. If we only “affirm the good” and fail to suggest improvements, then ultimately all the standards drop, ‘mediocre’ becomes the new ‘good’, and there’s nothing to aim for. I suppose the reason why I get so wound up is that these directors and writers could do better because they HAVE done better. So James Cameron, Stephen King, Peter Jackson – they’ve already proved they can produce brilliant pieces of work. So the fact that they produce such utter drivel means that either they’re getting lazy, or they are just doing it for the money. I think often newspaper and TV reviewers capitulate to them and tell them they’ve done a great job, but the truth is, they haven’t. I guess that’s part of why I review stuff – to expose their poor attempts and point out why they should have done better. Why they could do better. Why they are squandering their potential. Etc. It’s interesting that you said American Hustle is a bad film. I haven’t watched it, but it got nominated for an Oscar… which kind of proves my point in a way. If we only praise the good in films, then how do we know what’s rubbish? What is the criteria? It’s obviously not the Oscars… so what it is it? Hi again, Naomi. There are degrees of goodness and badness in everything we consume. When we address a particular subject, we should include both. That’s what I like about the star review system used by many film review sites and magazines. You can easily distinguish between a masterpiece, an okay film, and something you should avoid like the plague. Yet, of course, taste is subjective. For me, the best film I have seen in my life so far is Amélie (2001). It touches me like no other film for its subtleness, non-clichéd romanticism, humour and sweetness. It seems to fit perfectly with what my soul yearns. There are sure to be many other people in this world who’s favourite film is also Amélie – but not necessarily for the same reasons as my own. And there are sure to be billions of people in this world who’s favourite is not Amélie. Are they wrong? Are they even more wrong if their favourite film happens to be Battlefield Earth (2000)? Like I said before – and as we all know – taste is subjective. I do try not to deride those who have monumentally different tastes to my own – but I often fail. Many of us human being things have that bad piece of DNA which makes us think we are somehow better than everyone else. I guess this remains in us from our ancestors’ survival genes. Whatever the reason, it is an ugly trait. It is important to try to suppress this trait whilst at the same time giving our personal views on a subject. Art is subjectively extremely complex. What one person thinks is utter rubbish, another person can label a masterpiece. The general consensus in the film world – from my viewpoint – doesn’t seem too flawed. Critiques tend to agree on which films are the masterpieces, which are the dross, and then they argue about those in-between. Those in-between films – amounting probably to almost all feature films ever commercially released – are a disparate bunch. 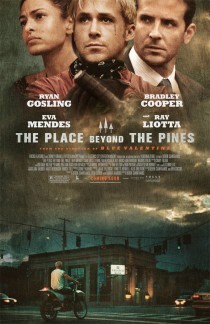 You described in your article your disgust at The Place Beyond The Pines (2012). You’ve noted that your overall anger comes from the knowledge that those involved could have produced a much better, more satisfying film with just a little more effort. Now the big question is: who drives box-office sales and DVD/Blu-ray sales? Is it the film buff know-it-alls… or is it the rest of the population, the more easily entertained, perhaps less educated people out there? It’s got to be the latter, doesn’t it. As film buffs, do we assume that all writers and directors try their absolute best with each new film to create a masterpiece; to do the best they can? I am sure in indie cinema that this is the case. But in mainstream Hollywood? I am sure those running the major Hollywood studios – Columbia , Warner Bros., Walt Disney, Universal, 20th Century Fox, Paramount – worked out a long time ago that mainstream entertainment sells the best. Only a masterpiece will sell better due to the longevity of sales. But I’m sure they see it as a lot less risky to focus on making mainstream successes rather than trying to hit the masterpiece jackpot. So people like you are needed, Naomi. Like you said, to try and stop ‘mediocre’ becoming the new ‘good’. And you are in good company with many other like-minded souls. I will continue to focus only on the good in my reviews. I only post films I think are worthwhile seeing but inevitably not everyone will agree with my choices. I think The Place Beyond The Pines is a good semi-action thriller – nothing more – but it certainly entertained me enough to recommend it. And, to be honest, there are days when I’m not in the mood for a glass of wine and a La Dolce Vita (1960) and I’d rather relax with a beer and watch something that requires less concentration. So yes of course it is about people’s personal tastes, and different films can resonate with different people at different times and for different reasons…at the same time though, it just seems very wrong that the movie industry earns billions churning out poor-quality films for the masses whilst there is still such poverty, famine and third world debt… Another debate for another day, perhaps.